To the extent that total distributions for the year exceeded 2018 earnings, the portion of the fourth quarter distribution paid in January of 2019 that was equal to that excess will be treated as a 2019 distribution for federal tax purposes and is not included on the 2018 Form 1099. Starwood Property Trust (NYSE: STWD), is a leading diversified finance company with a core focus on the real estate and infrastructure sectors. An affiliate of global private investment firm Starwood Capital Group, the Company has successfully deployed over $48 billion of capital since inception and manages a portfolio in excess of $15 billion across debt and equity investments.  Starwood Property Trust's investment objective is to generate attractive and stable returns for shareholders, primarily through dividends, by leveraging a premiere global organization to identify and execute on the best risk adjusted returning investments across its target assets. Additional information can be found at www.starwoodpropertytrust.com.